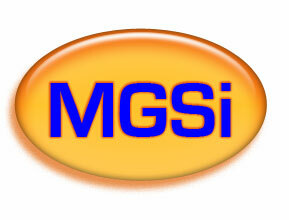 What is the MGSi product? The objective of this document is to sell MGSi licenses. The MGSi system has been designed, developed and implemented as a suite of workflow and document management software as a service component products to replace expensive imaging applications and to have My Great Software, Inc. perform the installation, deployment and integration (migration - "My Great") services which capitalize on these document management software components. We boldly claim that we have rendered these expensive applications obsolete. The MGSi system allows enterprises to organize and manage their electronic documents by grouping together disparate document types that can be easily stored and retrieved, similar to using a binder clip for hardcopy documents that are then stored in a filing cabinet. Unlike paper systems, MGSi allows immediate, controlled and multi-user access to the electronic documents. The next sections provide a brief introduction to workflow and document management systems and the key features of document management systems; define what the MGSi product is; and lists the features and benefits of MGSi. The disadvantage for document management systems is that many challenges are not related to technology. Rather, these challenges are related to information resource management and business practices. Enterprises that want to implement workflow and document management systems need to identify the business wide information needs; otherwise, you will be providing just another source of confusion. The MGSi system negates this disadvantage because the MGSi system does not require the enterprise to change the life-cycle of their business transactions. Providing tools that ease access to the right information at the right time is also important. After all, any benefits from information availability can be negated immediately if the people in your business spend all their time trying to track down the information. From a people perspective, issues are generally related to culture and current working practices. They include motivation to share, to use, and to add value to what is there already. Most people have become accustomed to the information push paradigm, in which information is constantly being thrown at them. The Internet and Web is very much a pull paradigm, in which users are expected to go out and get information. The capability to create customizable software products is a basic requirement for software developers. Their customers' Information Technology (IT) departments are now expected to develop, deploy, and support technology solutions to meet business needs in a timely manner. To have this ability, they need an architecture that is robust, flexible, and responsive to the ever-changing needs of the whole enterprise. MGSi provides this architecture for workflow and document management systems. Where can the MGSi product be applied? This is an abbreviated list of the uses for MGSi and the industries that would profit most for using the MGSi product. The flexibility of the MGSi architecture truly limits its use to only the limits of your document management "imagination". Who are the potential users of MGSi? This section summarizes the primary benefits of using MGSi. Cost effectiveness! Low-priced allows small businesses to automate the management of their documents. Web browser based for access from desktops, tablets and mobile devices. Provides for the management of most document types enterprises have now, with the flexible architecture needed for future document types (e.g. XML). ADO.NET database-driven architecture that allows enterprises to use their existing database software investment, with the knowledge that they can upgrade their database software and MGSi will still work. Seamless integration of Web, electronic mail, text, spreadsheets, word processing files and image documents which avoids the need for using multiple, independent programs. Complete Document Management capabilities with advanced query and filtering capabilities based on User IDs that allow enterprises to customize MGSi for "power users", novices, and all other skill levels. Workflow Management including "built-in" Document Archival, Workflow Fork/Split (Decision Handling), and Workflow Quality Control agents that avoids having to purchase additional, probably incompatible products. This section summarizes the features and capabilities of MGSi. Each individual, in general, does not use all of the features. Within the enterprise, though, all features will be used. MGSi is completely implemented with the Microsoft .NET Framework architecture that allows user customization and flexible versioning. What this means is that if there is a "bug", when the bug is fixed, you update the component that had the bug, you don't have to re-install the entire system. Additionally, if you don't like the way MGSi has designed a particular feature, an enterprise can programmatically change the feature. MGSi performs all of the backend database definition management functions usingStructured Query Language (SQL) Data Definition Language (DDL) statements that eliminate the need for a Database Administrator to execute SQL scripts. MGSi provides for any third-party program to be defined for a workflow step. This allows an enterprise to "launch" any executable entity (EXE file, BAT file, COM interface, etc.) in a controlled and manageable manner. The MGSi indices schema allows an enterprise to exchange data from MGSi to/from any system within the enterprise. This allows an enterprise to use the entire database vendor provided import/export/data conversion facilities. No proprietary export software is required for an enterprise to access their data. All functionality in MGSi is configurable at the User ID level. This allows an enterprise to restrict sensitive material from being viewed by selected users. Additionally, an enterprise can redirect work to specific users because the person normally assigned to do the work is out of the office. MGSi indexing supports all of the standard data types, including memo, text, image, currency, dates, times, short number, long numbers, decimals, etc. MGSi is integrated with Collaborative Data Objects (CDO) compliant mail servers, which allows for the indexing and categorization of electronic mail documents. MGSi provides complete features for labeling, indexing, annotating, viewing and printing Web, electronic mail and image documents. MGSi provides one-click document categorization. Due to its flexibility and power, MGSi, a HTML 5 Web product, is required for today's enterprises to manage the growth and volume of paper and electronic documents. Hypertext Markup Language (HTML) is used for formatting webpages. A workflow is a series of operations (steps) linked together to control work. A workflow indicates which steps need to be performed, the order in which the steps are performed, and which users are assigned to perform the work. An image is a photograph, line drawing, or text document that has been converted to digitized form, usually by a scanning device. Imaging is the process of digitizing this information. Indices are sets of information used to identity different documents, just as tabs on a file folder are used to identity its contents. Documents can be identified by an individual index (such as patient name) or by a combination of indices (such as account number, date, account type, etc.). Categorization: A category is used to separate different types of pages (images, email, spreadsheets, etc.) within the same document. For example, a medical document may contain admission forms, nurses' notes, physician orders, etc. Categories are used to distinguish among the pages. Hyperlinks are the same as hypertext jumps typically encountered in help systems and on the World Wide Web. They provide a way to navigate within documents and to webpages. A User ID is the "name" you use, combined with a password that allows access to restricted systems.